Mad Men returned this Sunday and we could not wait to see our favorite old fashioned swigging ad execs back in action! Press Pass LA reporter Sarah Huggins got a chance to chat with Stephanie Drake, who plays receptionist, Meredith on the hit AMC show. A newcomer to the series in Season 5, Drake was psyched to talk about being back for the 6th season, as well as her secret to breaking into the business. 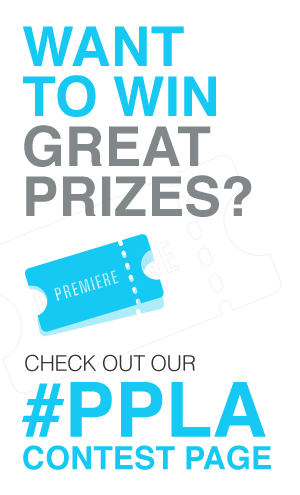 PPLA: How did you get started in the business? SD: I kind of always knew I wanted to act. My dad took me to a Broadway show when I was 7 and I just knew. I went to a performing arts high school in Baltimore, so I did tons of plays and had acting classes. When I went to college, I came to Los Angeles and went to USC. When I graduated, I just started looking for agents and I have been with the same one for the last several years. PPLA: Was it hard to get representation right out of college? What was your path? SD: It was really hard. I feel like most actors coming right out of college face the problem of not knowing how to go about the business side of acting. It took me a long time to figure it out, but I got into an amazing acting class. My teacher, Brian Reise mentioned in class one day that an agency was looking for interns just to go and help out once a week for a few hours. So I started doing that at the agency I am with now. She runs an agency by herself and it was just me and her, so I got to know her really well. After a couple months passed I asked if I could read for her because I would love to become a client. She said absolutely and it just kind of all worked out. That was definitely the smartest thing I did. PPLA: What can we expect from Meredith on Mad Men this season? SD: I can’t say much, but she’s up to her old tricks. I am really lucky that this character is somewhat of a comedic relief. I never expected to be on a show like Mad Men. I still feel so lucky that I got the part last year and to be asked back for this season is amazing. PPLA: What was the audition process for Meredith like? SD: It all happened so fast! I had never seen the show, so the night before the audition I watched an episode. I watched the last episode of Season 3, when the two companies split off and they branch off to make Sterling, Cooper, Draper, Pryce. It was awesome! I had the initial audition and they asked me to come back later that afternoon for the Producer’s session. It was my first Producer’s session. I had no idea Matthew Weiner would be holding the session. I ended up getting the part, it still seems so surreal. SD: I looove the clothes! The clothes Meredith gets to wear are things I definitely would wear. Especially this season, there’s one dress in particular. I could have walked off set wearing and gone to a bridal shower or something. It was just so darn cute! PPLA: Because we are talking about Mad Men, do you have a favorite cocktail? SD: You know what I have been drinking recently, it is so refreshing and perfect for summer. It is St. Germain and Gingerale. It is a little on the sweet side, but it is just so good! PPLA: Do you have any other projects you are excited about that you want to share with us? SD: I just shot an episode of The Middle and that is scheduled to air May 15th if all goes as planned. The character is very much like Meredith. I got to do my scenes with Patricia Heaton and she was absolutely amazing. She was so funny, quick and nice. It was really fun and totally different to be on that set. We shot 4 scenes in three and a half hours, which was really quick. Sometimes on Mad Men we only shoot one scene in 12 hours. Some of those long conference room scenes take a long time. I am looking forward to seeing it! We look forward to seeing this season of Mad Men airing Sundays on AMC.